This range has no limits. 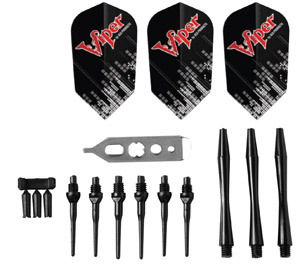 Each dart set offers the ultimate in versatility. Choose from the various barrels and vary the weight with the add-a-gram weight of your choice. 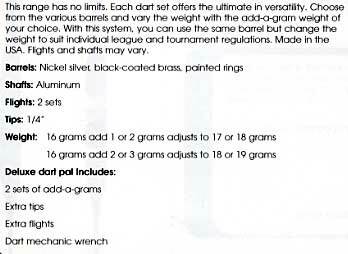 With this system, you can always use the same barrel but change the weight to suit individual league and tournament regulations. Add-a-grams convert point from a 1/4'' Tip to a 2ba tip. 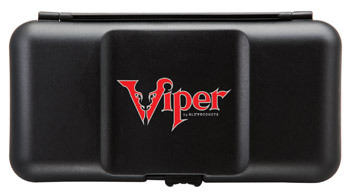 Comes in a DeLuxe Dart Pal Case.